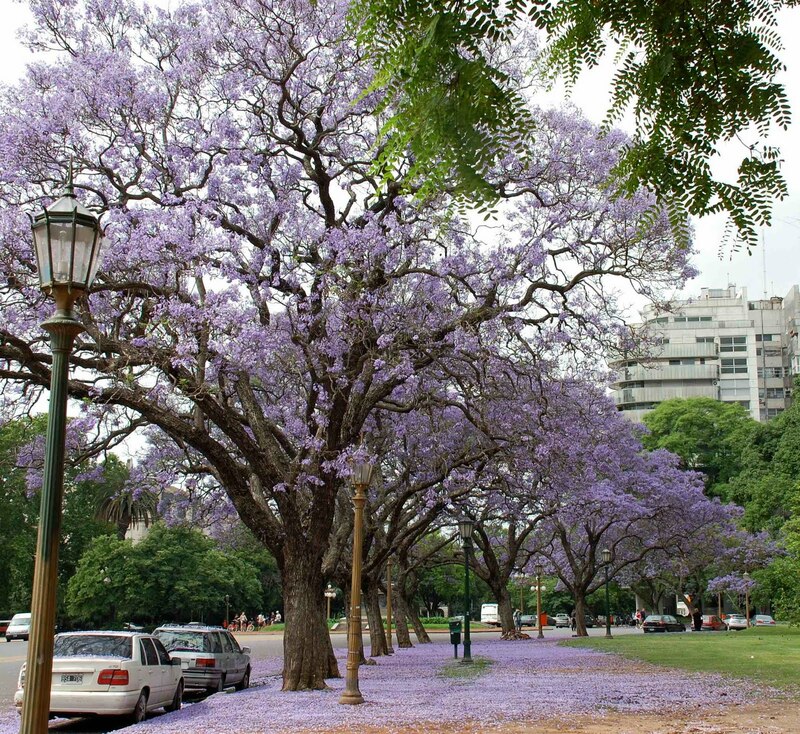 Plentiful spring rains in recent days have washed most of the flowers from the jacarandás while creating a beautiful purple carpet beneath the trees. Photos don't do justice (especially on an overcast afternoon), but we did our best to share the beauty. These photos were taken along Avenida Libertador, about a dozen blocks north of our apartment, from the Museo Nacional de Belles Artes (and the Law School directly across from it) down to the Museo de Arte Decorativo and Plaza Chile, then back to Plaza Francia. 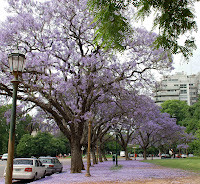 November is a good time to be in Buenos Aires. You guys are the coolest; Hoping to get down there again some day; still have my airline credit from aborted summer trip. We are going to The Bahamas after Christmas with both girls. We weren't sure when we would be able to take a family vacation again, now that everyone is going her own way. Hoping you all have a Merry Christmas and a 2010 as great as 2009 has been for you.